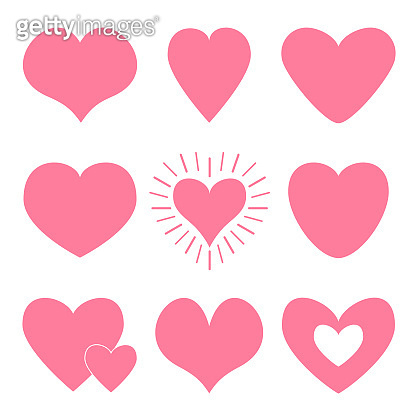 Pink heart icon set. Happy Valentines day shining sign symbol simple template. Cute graphic object. Flat design style. Love greeting card. Isolated. White background.